Well crap. Evil robots have decided to make your home world their next conquest! Obviously, this won’t do, so get ready to crush some metal. 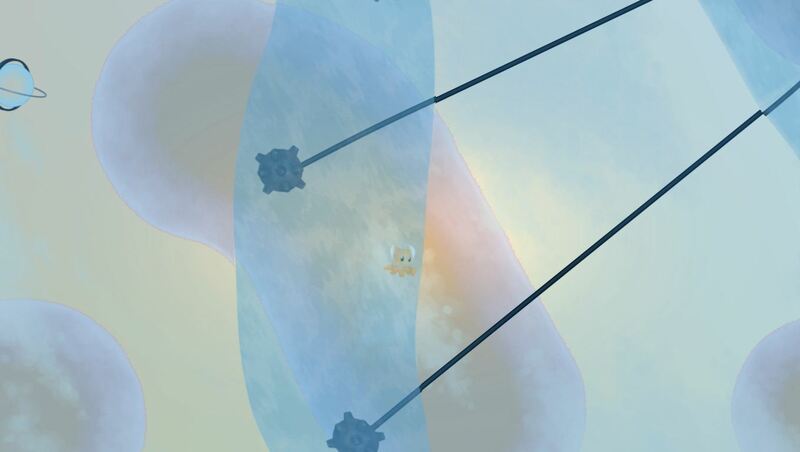 Oh, did I mention you’ll be playing the part of a gravity-defying octopus? Alright so that bit about crushing metal was a lie. Your role in this war is actually rather passive, as you won’t be able to fight back – coming into contact with a robot results in, well, death. As such, and based on the amount of obstacles I encountered while playing this alpha build, I’ve come to the conclusion that your objective is… intelligence gathering! What? Someone has to do the legwork, ya know. Laser beams, robots, mines and what appears to be UFOs, are just some of the things you’ll have to deal with in Airscape. Fortunately, you’ve long since mastered the ability to bend gravity and pull off impossible jumps; or maybe it’s just the physics of this particular planet, but I prefer my version. This doesn’t mean you’ll be able to leap tall buildings in a single bound (cue Superman theme), but it will still aid you throughout this perilous journey. 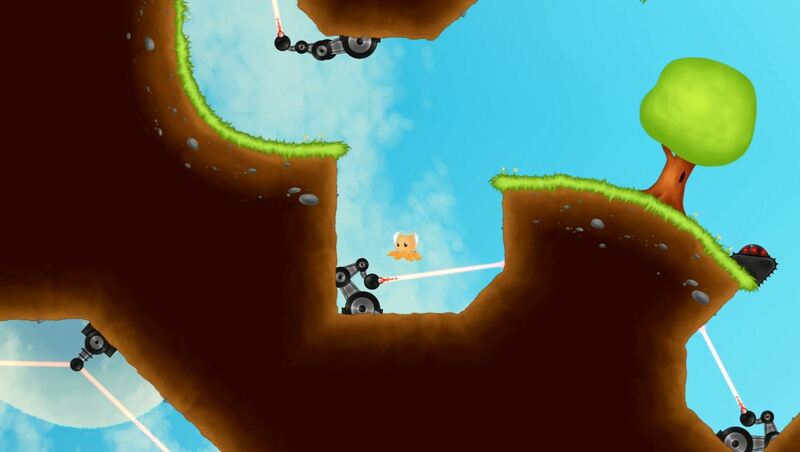 Airscape: The Fall of Gravity is a completely student-made action platformer about an octopus, a dangerous world, and questionable physics. Questionable, sure, but also pretty darn cool. 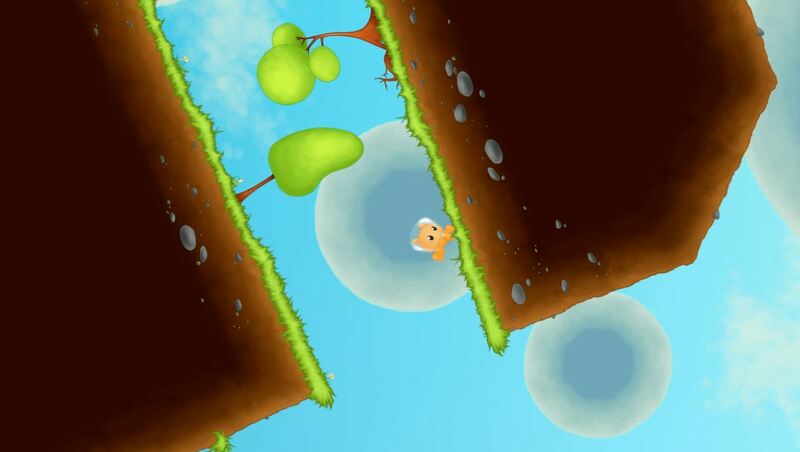 The level literally shifts as you go along, tilting the terrain so you’ll never be upside down or angled. Because of this, you’ll be able to turn the world upside down by jumping at terrain above, using the planet’s gravitational pull to your advantage. An interesting twist. With the protagonist being an octopus, the inclusion of underwater sections is hardly a surprise. Although unlike a certain TMNT level, swimming in Airscape is actually fun and is a neat way to mix things up after all that running and jumping; I’ll take mines over electric seaweed any day. Ain’t all about bouncing around (or swimming) though, as a bit of light puzzle solving is also required, often while dodging bullets or other hazards; no one said being an octopus was easy! In fact, I’d say that once you reach the later stages, it’s quite the opposite. At this point the difficulty ramps up big time, and the game throws all kinds of crazy at ya, with checkpoints few and far between. This certainly changes the focus from ‘gravity-bending action platformer’ to ‘chaotic precision platformer’; it was still fun though, countless deaths and all. Have to admit though, there were times when I intentionally made the little guy hug a laser beam and laughed as he fried. Not that he deserved it, I was just annoyed at his failures to make certain jumps, costing me progress in the process. Yes, his, not mine. Clearly, it was not my lack of skill that caused him to die time and time again. Nope. Not at all. Why… why would anyone think that? Don’t judge me! On a more serious note, and in spite of my struggles, Airscape: The Fall of Gravity is definitely one I’d recommend keeping an eye on. Sadly, the closest thing to a release date is ‘2014’, so a bit of patience will be required. Hopefully a pre-launch demo will be released, but in the meantime, how about some Greenlight support?